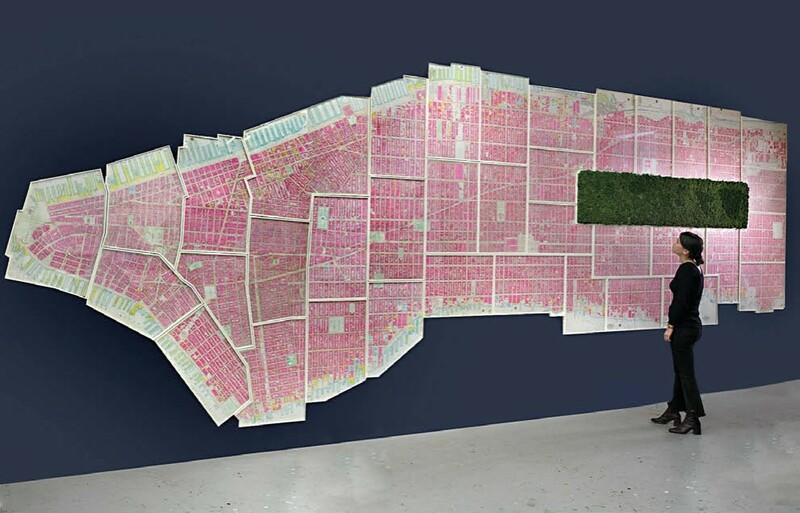 George and Walter Bromley’s massive 1908 fire insurance map of New York made from 38 different sheets. It was sold by Daniel Crouch Rare Books at the 2018 'Winter Antiques Show'. The 1908 fire insurance map by George and Walter Bromley comprises 38 individually framed sheets and was offered for $250,000. The identity of the buyer has not been revealed, but it will be staying in New York. This map includes outlines of buildings, street names, sidewalk widths, number of storeys, basements and natural features such as rivers and a large rectangular green area, the Central Park. It also shows the composition of buildings by listing materials such as brick, stone, iron and wood in their descriptions.